In many situations, a subcontractor is a right way to go because there are certain areas that a contractor needs an expert in certain trades. A construction business or general contractor is dedicated to managing the overall activities and performance between subcontractors. Companies have different methods of evaluating and shortlisting subcontractors depending on past performances, financials and other important factors. The following article presents some ideas on performance indicators that will facilitate choosing the right subcontractor for your construction project. Can a Subcontractor Perform Better Than Your Own Crews? The first question that you will need to answer yourself is the one that will eventually guide you to choose a subcontractor. Understanding the scope and project requirements is vital before you can acknowledge the need for a subcontractor. A subcontractor is needed when the work falls outside of your expertise area or when your resources are already assigned to a different project, limiting the capabilities to execute the work using internal resources. How Big Is Your Project for Your Subcontractor? Before starting the qualification process, the general contractor needs to determine the size of the scope being subcontracted out and the resources needed to perform this work. It is important to understand this part prior to execution in order to get the proper bonding and insurance coverage for you and your subcontractor. When the subcontractor scope is too broad, then you might need to do one of two things: break the project into smaller components or analyze if this is the right project for your organization. Once determined that it is suitable for your organization, let's then move on to qualifying the right subcontractor. Theses factors should be weighed in resulting in a total score that it is used to determine the best option for your project. A subcontractor must be able to provide this information as an answer to your RFP or during an RFQ process. One of the most important factors when qualifying subcontractors are their safety performance. Be sure to review the EMR rates, OSHA recordable, time loss due to accidents/incidents. 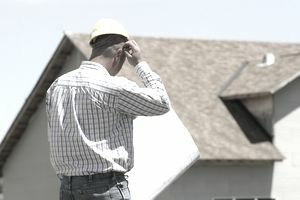 From a contractor standpoint, you will need to review who is their main safety officer, its background, and credentials. As a contractor ask for their safety plan and program and be sure to review it so that it aligns with your safety expectations. Safety can also include environmental response and procedures upon emergencies and spills. As part of the qualifying process, a subcontractor should provide basic information along with resumes highlighting the relevant experience of SPOC (Special Point of Contact), person in charge, Sr. leadership directors and personnel who will be in charge of the project. The org chart must be clear enough that you must have resources assigned to your project and depending on the project, those resources can be 100 percent dedicated to your project. A subcontractor must bring their own equipment and tools, so be clear to specify that in your RFQ and review the subcontractor proposal to make sure those tools are included. The equipment described in the proposal must meet your demands and also include a maintenance repair plan. Please note that all maintenance, lube and fueling cost must be part of the subcontractor responsibilities. Transportation permits and costs are subcontractor's items so they should be taking care of those items. A subcontractor must provide a detailed plan of action including a narrative on how they will manage the project and how they handle unforeseen conditions. A good subcontractor will provide a detailed schedule of activities including information on how much time it will take them to complete the work. A project schedule might help in many instances and a conference call to go over the scope is highly recommended. A subcontractor proposal must make reference to their previous experiences but most important they should reference similar projects, in size and scope. Feel free to ask about concurrent projects and how those project could affect the resources devoted to your project. A list is similar projects must describe scope, schedule, budget, manhours worked and any special consideration that was part of the project. It is very important to determine whether the project was performed in recent years, similar conditions or to similar contractors/owners. It is your responsibility to call and verify references provided before awarding the subcontractor a construction contract. Using the listed names and projects included in the RFP, the general contractor should call or ask specific details about the subcontractor performance on a particular project. Please note the position of the person giving the information and be as specific as possible when asking for details and contract information. You can use a service just like the one provided by Geniebelt. Geniebelt provides project management for the construction industry. Not always the lowest bidder is the best option for you. Once you have evaluated the items listed in this article, you will be better positioned to make a recommendation whether to use a specific subcontractor or not. Ask for details on payment terms, and avoid using subcontractors asking for large amounts of down payment, that might be a red flag. Discount terms and payment terms must be discussed and agreed especially final payment and release of waivers.